Psychic visions is a term used to describe the way that those who are clairvoyant receive messages from their spirit guides. Clairvoyance or second sight is the common term used to refer to this gift, as this is because it uses your psychic sight to operate. 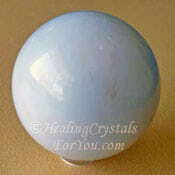 Many of you are interested in ways that you can develop your psychic powers and make contact with the spirit world. 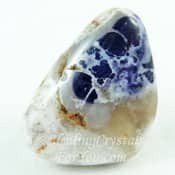 Learn about the use of specific healing crystals for you to use to aid you to develop these psychic gifts, and increase your clairvoyant ability. 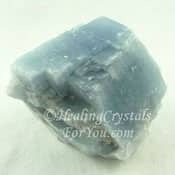 Learn how to awaken psychic visions or your gift of clairvoyance by regular meditation with high vibration crystals. 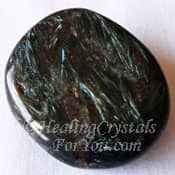 Finding and communicating with your spirit guide is an important first step, that may help you to develop this psychic gift. Second Sight is the term that historically was used to describe this gift. It was called second sight to differentiate it from normal sight. 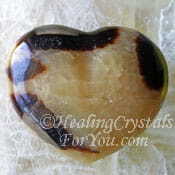 Many hundreds of years ago, even thousands, people with this psychic gift were aware of this gift. 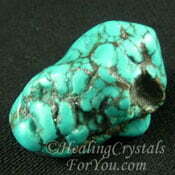 Although the term clairvoyance is commonly used, these gifts may be called psychic visions. Psychic visions are the actual way you see what is being communicated to you from spirit, if you are clairvoyant. Those who are having psychic visions will actually 'see' the communication from their spirit guides. The term visions is a somewhat loose term, as it usually begins with very short periods where you actually see things. It is possible you may be able to see a 'picture' of some sort. The more you develop the gift the greater will be both the amount of time you will 'see' and the more detailed the clairvoyant visions will be. The meaning of the word clairvoyance is 'clear seeing.' and this refers to the ability to see psychic visions. Psychic visions are the type of psychic communication that your spirit guide sends to you if you have the gift of clairvoyance. 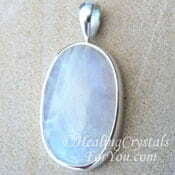 There are quite a few different varieties of psychic gifts, and many people have more than one gift, which makes it complicated. Not all psychics actually 'see' the communication from their guides. 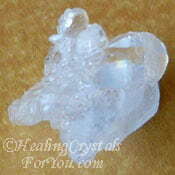 Some hear it, which is called psychic hearing or clairaudience, some feel or just know it. This is called clairsentience or psychometry and some even smell or taste it, known as clairfaction and clairgustion. If you wish to learn how to awaken psychic visions and to stimulate your clairvoyant abilities it is a process, which starts with regular meditation. 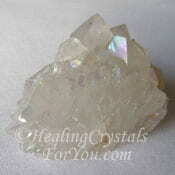 A powerful aid to this process is to have a crystal in your hand while you are meditating. 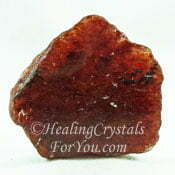 As you increase your time spent meditating, the length and strength of your clairvoyant visions may also increase. If you have not previously made contact with your spirit guide, meditation is also a process that may result in you making contact with your spirit guide. 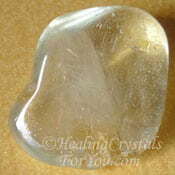 Often making contact with a spirit guide may happen simultaneously with the development of clairvoyance. Although some people who are having psychic visions did not use this method to develop their gift, it is a way that many find works. 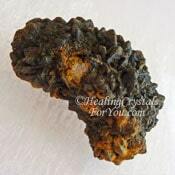 Once you have developed this gift, a powerful stone to bring your visions to a higher level is Arfvedsonite and it is said to bring visions that will predict the future. 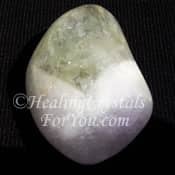 Doing a specific meditation while holding crystals will elevate you to a higher vibration, as your vibration comes in alignment with the vibration of the crystal you are holding. 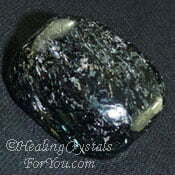 Yttrium Fluorite is another stone that also helps you to see clearer and more distinct visions. 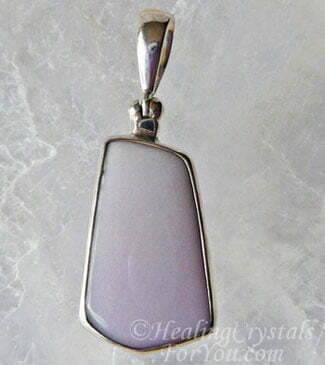 This high crystal energy stone may be more difficult to find, and is sometimes sold as Lavender Fluorite. 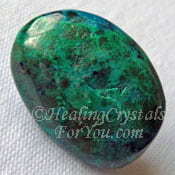 The visions that this stone helps you to experience are likely to be more distinct, with exceptional clarity. 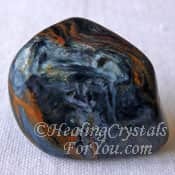 Using this Lavender stone is a powerful aid to make spiritual connections and to see spiritually with more clarity. 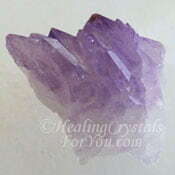 A well known crystal that many people start with is Purple Amethyst crystals and they are a good choice as they are easy to obtain. 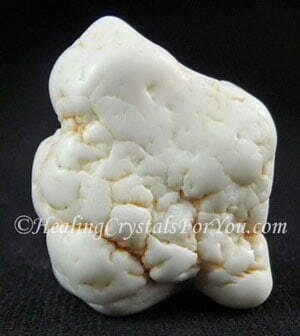 Another stone that is helpful is Magnesite... see picture above. 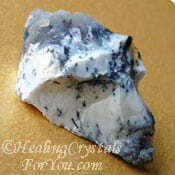 This white stone aids you to develop psychic visions, and is a good crystal to use while you are meditating. During meditation you are making contact with your higher self and with any of the spiritual realm who desires to make contact with us. All of you have guardian angels, or guardian spirits, who are with you from the time you were born. It is common for both your guardian angels and your guides to contact you during meditation, and they like to be acknowledged. Reach out to your guides and ask them to contact you. If you ask for their help they will respond. If you become aware of them, having an attitude of gratitude towards them is helpful. Gratitude is a most empowering action, as it creates a strong movement within the field of great allowingness that creates all that is. Meditation is a great tool for all of us to use. If you have been having lots of difficulties in your life, it may help you to solve some of your problems. Many of you may find that it is a time when you learn to be happy for the first time. Meditation just has so many benefits for everyone. 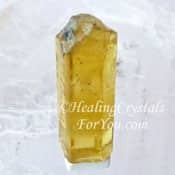 If you wish to discover psychic abilities, meditation is a great asset, but even if you are not looking to develop any psychic gifts it is extremely beneficial to your overall spirituality and health. It is known to be one of the most helpful ways to deal with stress, because during successful meditation your brain waves slow. During normal day to day activities your brain operates at what is called the beta state. During meditation the brain waves change from the beta wave, to the slower alpha wave. Two specific areas of the brain, the Amygdala and the Anterior Cingulate Cortex, are said to be connected with developing any psychic abilities, including clairvoyance. Using Isochronic Tones encourages these areas of the brain to entrain with the new rhythms that are introduced. As you go deeper into the meditative state you may find that psychic abilities develop more readily. In addition you may find you develop a sense of deep peace. 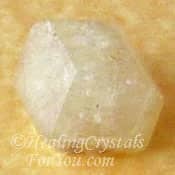 There are some specific crystals that might be called 'clairvoyance crystals' or psychic crystals, as they will assist you to develop the gift of psychic vision. 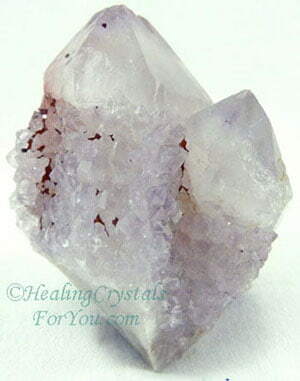 Amethyst Spirit Quartz is an example of one of the crystals that can assist you, but there are many others. Look at the crystals on the list at the end of this article. See if you already have some of them in your collection. 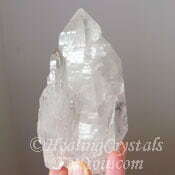 When you hold a crystal in your hand, it is possible for the vibration of the crystal and your vibration to come into alignment. Many of these are among those that are easiest to find and purchase. 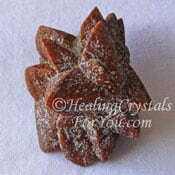 There are quite a few ways to use crystals, and as I mentioned above meditation is important. 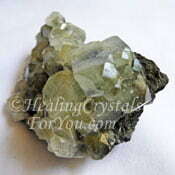 Many crystals also help you to move your vibration. 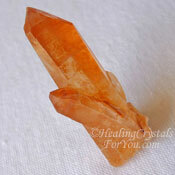 Simply having a crystal within your aura is valuable. 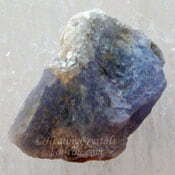 There are quite few clairvoyance crystals so the list of stones is quite long. There may even be more stones and crystals than are currently on the list, and I will add them as I find out about them. 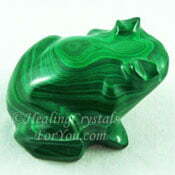 How Will Clairvoyance Crystals Help You? 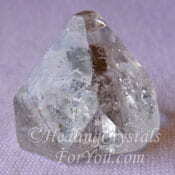 Wearing crystal jewelry made from clairvoyance crystals will be advantageous to move your gifts forward more quickly. 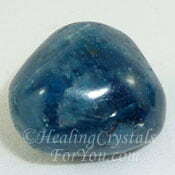 Both Iolite and Dumortierite Stone have the specific energy that will work on aiding your psychic vision. 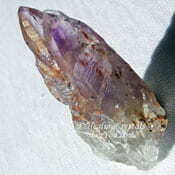 Most if not all of the stones on the clairvoyance crystals list, are either third eye chakra stones or crown chakra stones. 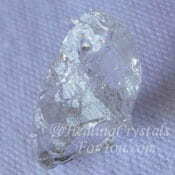 It may be helpful to simply keep a specific crystal within your auric field as long as possible. Any chakra stones for these two chakras will assist overall spirituality and health but the ones listed are known to specifically develop psychic visions. 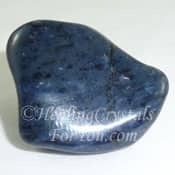 Other psychic powers such as clairsentience, psychometry and clairaudience may also be stimulated by any of these stones. 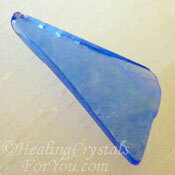 The higher the vibration of the crystal you are using, the higher the resulting vibration within your energy field. 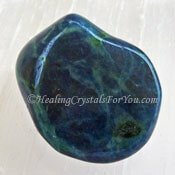 Any high vibration stones may stimulate psychic gifts, and high vibration stones are recommended for your overall spirituality and health. 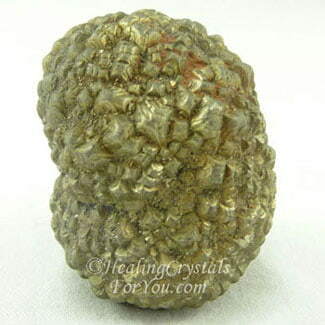 The benefits of this is, that the human energy field or aura changes quite quickly in response to both internal and outside influences and begins vibrating at a higher level. This is a most important reason for keeping your thoughts positive. And this vibratory reaction is like a circle. If you think positively, or generally happy thoughts, you become more positive, and vibrate differently. Your vibration will become higher and in turn you may find yourself feeling even more positive. An overall excellent result. 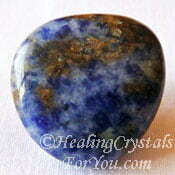 You can use stones in a psychic meditation or you may prefer to wear them. 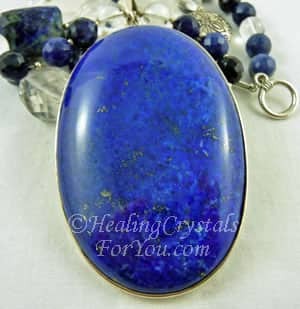 One well known stone that will help the process is the lovely blue Lapis Lazuli Crystals, which are great worn as Lapis jewelry. Clairvoyance is a gift that may be developed. There are also people who become aware that you have this ability. If you were born with this ability you may have been having psychic visions from a very young age. Alternatively for many it may develop suddenly, and it may be after you have done some sort of spiritual development work. 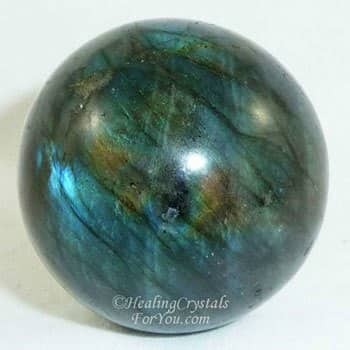 But its not always because you did specific actions aimed at increasing your clairvoyance, but it can be because you were wearing stones that can help the process. 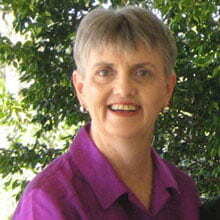 Many of you have seen psychics or spiritual mediums on television. Often they were shown in front of an audience and were making contact with relatives who had passed over. Maybe you became interested in how it all worked, and wanted to know more. The psychic clairvoyants you saw may have been communicating with spirit guides, who gave them information. This information came through to the psychic in a particular way that they could understand. The way spiritual mediums work is slightly different. These are people who have more highly developed gifts, and often they will make direct contact with spirits. They then were able to communicate the information they receive to the person with whom they were speaking in the audience. 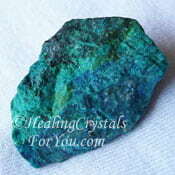 There are two main ways to use crystals to aid you with your desire to develop clairvoyance. 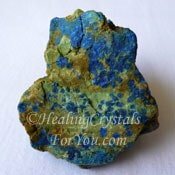 The first and most beneficial result for your overall health and emotional well-being is to use crystals, like Lapis Lazuli, Azurite Stone, Malachite or Labradorite in your daily meditations. 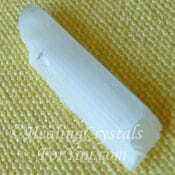 The other use is to keep crystals on your body throughout the day and close to you at night, under the pillow is good. 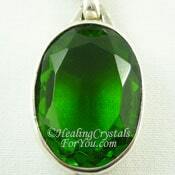 If you wear jewelry made from crystals or carry crystal stones in your pocket, these will help your vibration to increase steadily. This gradual increase can be an easy way to aid you in developing your gifts more quickly. 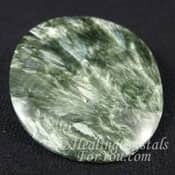 Purple Amethyst Crystals, Prasiolite, also known as Green Amethyst, and Amegreen are all forms of Amethyst and have a similar vibration. 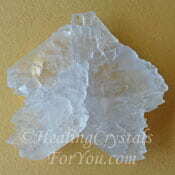 They are some of the loveliest crystal jewelry sold and are among those on the list above. 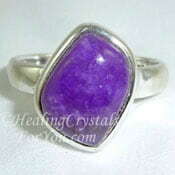 All forms of the Amethyst Crystals are excellent both to wear and to have in your environment. 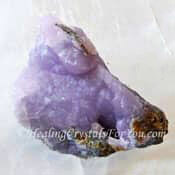 If you would like a reasonably large piece to have in your environment, Amethyst geodes will resonate a powerful and beautiful energy into the area where they are located. 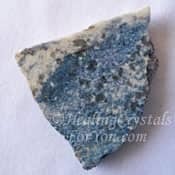 It is best to keep protection crystals on you when you are doing any spiritual work, as psychic protection is very important. 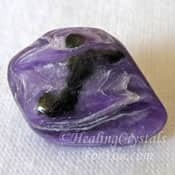 Amethyst Crystals, Black Tourmaline, Sugilite, Malachite, Black Obsidian and Moss Agate are some of the stones usually used. 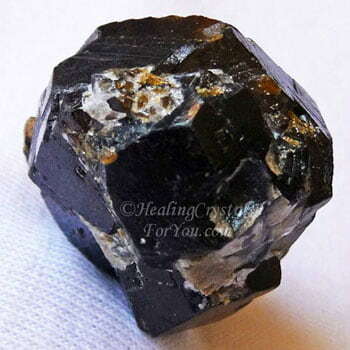 It is also of value to use earth star chakra stones, to aid you to ground yourself, as developing these gifts can sometimes make you very ungrounded, so be sure to ground yourself afterwards. 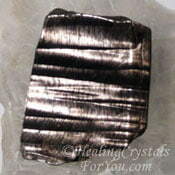 Some of the stones on the list below are grounding stones, such as Black Andradite Garnet or Staurolite. The power of the stones listed in the table is quite strong. 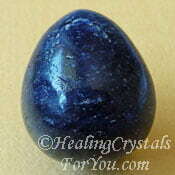 The soul star chakra stones are also very beneficial as they will take you to the higher spiritual realms. 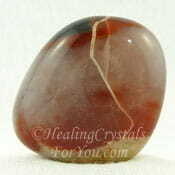 To improve the clarity of your psychic vision meditate with Ascension Stones, seen in picture at top of page. 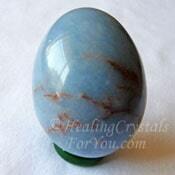 Developing your psychic gifts and being able to have psychic visions is desired by many people. 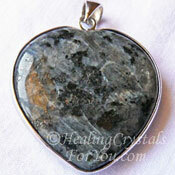 If this is what you want it is possible to do, by using meditation and crystals. 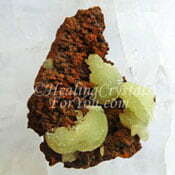 Keeping crystals within your environment and on your body will also help. Once you begin to work with spirit to develop these gifts, expect your life to change, for the better. If you are willing to be of service and put back into the world what spirit gives to you, you will get the best results, and be able to share it with others. We are reborn into this world every time we wake, there is daily the chance to make a new start and live a new life. There are a number of books that are excellent aids to help you if you are working on developing psychic abilities, including psychic visions or clairvoyance. Sonia Choquette has been working as a psychic reader, and as a teacher in the development area for many years, so she brings this wealth of experience to her writing. In her book 'Diary of a Psychic', you can read the story of how Sonia developed her gifts. Although her books cover a range of different aspects, they all take you through the processes that aid you to develop your psychic gifts, and they are all excellent books to help you to place your feet on the path that leads you to develop genuine psychic abilities. If you wish to read reviews of these Sonia Choquette work Click Here. 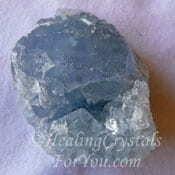 Take a look at the pictures of crystals on this page that aid you to develop psychic visions and clairvoyant ability. Although there are quite a few pictured here, there are lots of others not shown here. 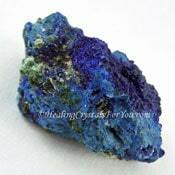 Other clairvoyance crystals and stones include the following: Amethyst, Atacamite, Baryte, Blizzard Stone aka Gabbro, Blue Aragonite, Blue Kyanite, Blue Tourmaline, Cavansite, Cinnabar, Dream Quartz, Gem Silica, Himalayan Quartz, Lazulite, Moraesite, Natrolite, Petalite, Prasiolite aka Green Amethyst, Preseli Bluestone, Satyaloka Quartz, Sphene aka Titanite and Staurolite aka Fairy Cross Stones. 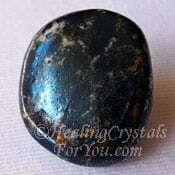 Want To Learn More About The Stones On This Page? 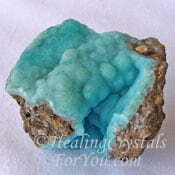 A good number of the crystals that are shown on this page have had a specific article written about them. 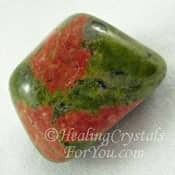 If you'd like to read more about any special stone shown here, you can see if it has its own in-depth page on this site.